today, my friends, i get to tell you about something so very exciting. 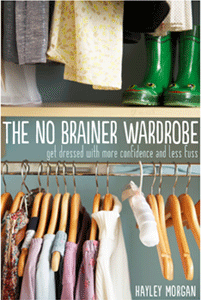 hayley, from the tiny twig, just released her e-book, the no brainer wardrobe. there are so many things i love about the no brainer wardrobe. for $7.99 you can read and learn about how to discern and dress your specific body type. hoping your body type changes with your new year's resolution? i am firm believer in still loving your shape and size, and dressing well even if you are not at your goal size or weight. embrace your body and express yourself. hayley will teach you how to better do so in the no brainer wardrobe. she walks us through our closets, purging them, growing them on a budget, discerning our own style, and so much more. three of my favorite things about the no brainer wardrobe are: 1) that hayley teaches us how to build a look book. i LOVE this, i love her examples and i love the idea that i can look at a picture of myself and be like, "oh yeah! i can wear this with that and i already know that i love how it looks" so often i forget how much i already have and the combinations i can create with my clothes. 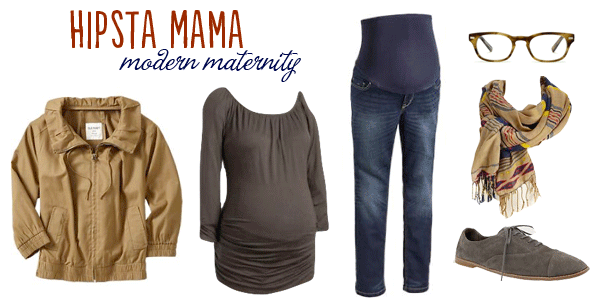 2) how to dress when you are pregnant. um yes please. and 3) how to shop a thrift store. this really is an art, and one i am just learning and starting to feel more confident in, thanks to the no brainer wardrobe. and i grew to love hayley even more when she styled this modern maternity outfit just for me. 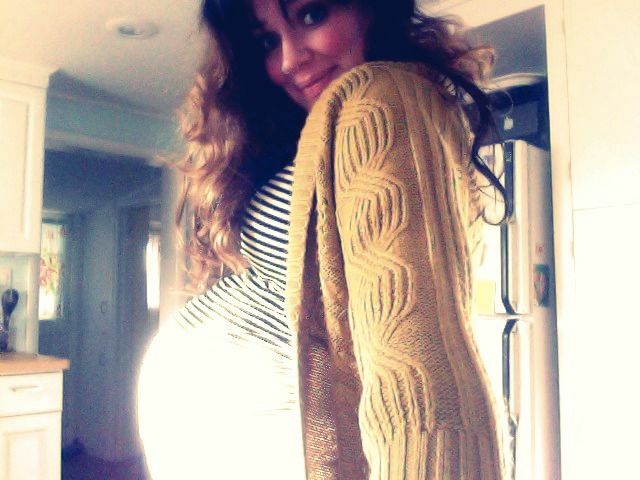 she says, "I know that in the last weeks of pregnancy, all I wanted to do was wear a knit t-shirt and comfy pants. These maternity skinnies are amazing and fit like forgiving leggings. And, the shirt is nothing more than a glorified t-shirt. Plus, it's extra long for when your sweet belly needs every bit of available coverage. Because the base of this outfit is so simple, when (if??) you leave the house you can gussy it up with a jacket that has a really fun and structured collar. The obvious Warby's, a graphic scarf, and some oxfords round out the look. These shoes from Gap fit are soft sided and fit (and give/stretch) like TOMS, so order a size very close to your real size. They are really darling on!" okay… make that every day. and what you can't see is that that maternity tank top barely even covers my belly and i am wearing h&m maternity leggings that i lit.er.ally sleep in and wear every.day. still be my friend? so, clearly, i needed that inspiration and motivation to dress a little more fashion forward…even as an expectant mama. thank you, hayley! Hayley has a house full of boys. It’s probably because of that very reason she likes to look cute and feminine. However, equally important, her routine must be simple and accommodating to her life as a mom of three little men. Because of her desires and her constraints, she has developed a way of living that maximizes her time and energy for passion and ruthlessly eliminates unwanted fuss. Follow along and engage at Tiny Twig Goes Out on a Limb, her blog which inspires women to create lives with more passion and less fuss. 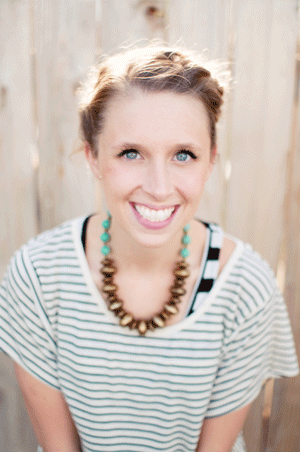 You can also catch her daily tweets, about creativity, life management, motherhood, and faith at @thetinytwig. today we are giving away 2 copies of the no brainer wardrobe! to enter to win simply leave a comment here. ... and want to know something REALLY awesome? since i know all of you simply cannot wait to see if you won this giveaway or not… the first 15 people to to purchase and download the no brainer wardrobe can use coupon code: TAKEHEART for 50% off. that's 50% off folks. and that's the best four dollars you'll ever spend. guaranteed by me. Please look at my closet! I love to buy pieces at a time when I'm shopping but have NO clue how to put together an outfit once Its time for a night on the town. Its sad to say but my husband has WAY better "outfit taste/put together" knowledge than I do!!! I really need to read this book! HELP! What a huge accomplishment, writing a book! I am Hayley's newest follower on twitter! Awesome giveaway. I'm totally looking to expand my wardrobe horizons. I'm intrigued. I've recently been thinking about purging everything and starting fresh. I need this book. mama is a strugglin!!!!!!!!!!!!! i'd love to win this book! i'm the one who never has anything to wear, and takes 20 minutes picking out an outfit. only, it's the same outfit i wore LAST monday. because half of my clothes aren't right for me. and i know that. but i don't know what to replace them with! I want, no I NEED, this book. My wardrobe needs h.e.l.p.! I think I may have to buy this!!! I'd love a copy - tried the code but I guess those 15 copies were already snapped up! This is so awesome! What an amazing accomplishment! I am so excited to read more! this would be amazing to win! i feel like i've really gotten lost when it comes to my style ever since graduating college, having a baby girl, and moving three times with my little family. fingers crossed! I love this!! I tried to buy it already but something wasn't working! I would love to win it! what a wonderful idea of a book. love to own it! i wanna win i wanna win! i even shared this post with a girfriend on facebook! i tried to buy the book. but when i put in the code it only take 40 cents off. any idea why? ummm anyone who knows me can SEE that i'm style-impaired...yeah, my wardrobe needs some serious help! Me, please! Dressing myself in any way decent is a struggle for me. I need this book!!!! I have no idea how to dress :) for my style or body type! Sounds like great information -- I'd love a copy! I bought it- thanks for telling us about it! Ooh I love! That outfit is super cute. Would love this! Super cute outfit! This looks amazing! I could definitely use the help!